So Discord is sub-optimal for HOTAS use, so I thought we could have a topic where people share ways to best make it work. As we’ve integrated Chat a bit, I thought I’d put it in #meta as it is the nearest thing we have to voice comms for MP. Rhine created a Discord channel for those of us that play R6, Rocket League, Golf Club 2019. No matter what game we play, the voice comms are way way way way too low. We have to jack our volumes to max and turn down in-game sounds to almost nothing to hear anything. Personally, I’ve played with all the settings regarding codecs, etc and boosting other people’s mics. Anybody else have similar issues? Anybody know how to overcome this? Thanks. The Button #3 issue can be worked around with a keyboard press, that you then set up in TM or HOTAS vendor utility to be simulated? Is that right? As far as volume concerns go, I would not recommend comparing to DCS - especially external views like F2. DCS is LOUD. My discord volume has been okay, but I have to turn most of my games down. DCS has it’s in-game master slider at 10%, and even then the external view can sometimes be louder than people. Regular music (iTunes) or video (youtube) playback is fine on my headset. My discord output volume is also turned down, as otherwise it would be way to loud. I am guessing different sound cards & headsets can create different results for different people. 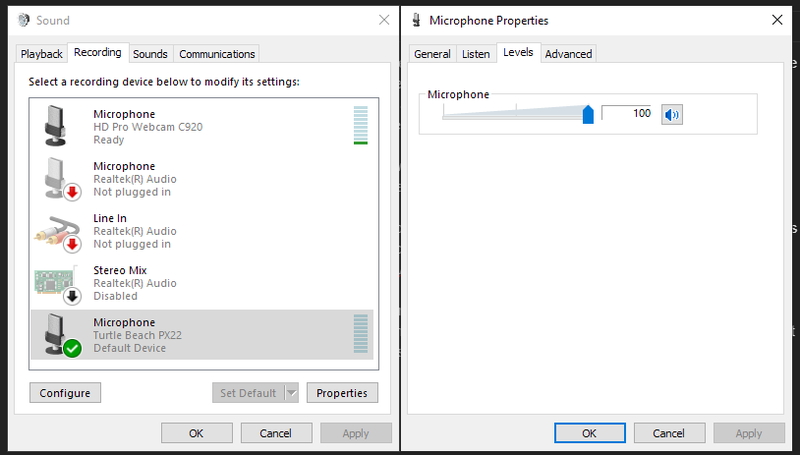 It’s important that everyone has their Mic’s input turned up in Discord and Windows! If you find one person is too loud, you can right-click their name in the voice channel, and turn the volume you hear that one person at down without affecting the rest. If you look at my above image, you will see my Webcam also registers as a Microphone. If for some reason my headset disconnects, Windows likes to default to it. Sometimes when I am coming through quietly, it’s because it has been changed without me knowing. An easy, yet overlooked fix - make changes in the Discord settings, setting Window’s default helps too. …You have another communications program running in the background, that make’s discord part of the “other” group? I haven’t seen this be a problem, but it’s easy to eliminate. This feature could also solve your problem. Discord also has it’s own option for reducing “background” audio. It’s below the Microphone settings. As you can see I haven’t used it yet (probably should) but that’s worth investigating. There could be more to look at too, but I only have one computer that I am using so I can’t speak for everyone! I could look at checking things over TeamViewer if anyone wants too. Hey @adlabs6 or @Rhinosaurus - when we used Discord last night were you using push to talk? If you do use PTT for Rocket League then which controller button do you map? I can’t for the life of me work out which button I don’t need to use to play. I always use PTT. Mine is right bumper when using controller. You can keep voice activated - if the automatic threshold doesn’t cover it, you can turn it to a manual threshold and adjust it yourself. I use left bumper button. In Rocket League, yaw in the air is the same as turning on the ground, the left stick. I use the right bumper for air roll. Anyone have any tips on making Discord not jump outputs at random? Worse it doesn’t tell me, I just lose sound in the middle of whatever I’m playing and don’t know I can’t hear anyone. Usually that should mean it’s having trouble with your designated output, such as intermittent disconnects. I am not aware of a “force” option, as it always swaps when you lose something. How is your device connected? 3.5mm jack or USB? Try ensuring the receiver in within line of sight of the headset, ie use a front USB port. I’ve have a few wireless mice and keyboards that didn’t like to get signals through/around things. Check for cable tension or excessive slack, which could pull on the connector. If you have slack, bundle it up and connect it to your chair or desk with a zip-tie. Some connectors work fine when tilted, others don’t if not perfectly straight. Tricky things, those 4D connectors… Is it loose? Does the port itself move (loose on the motherboard)? If you can try another. If possible, try a driver update if one is available (lots of headsets will just use the Microsoft default driver). 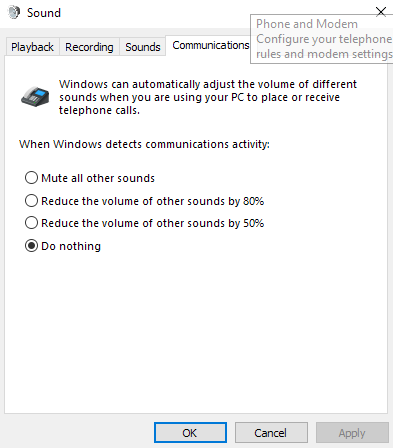 Also set your headset as the default audio device AND the default communications device. This way it’s always the #1 pick. Recently, my audio to my headset would drop if my graphics driver crapped out for a split second. 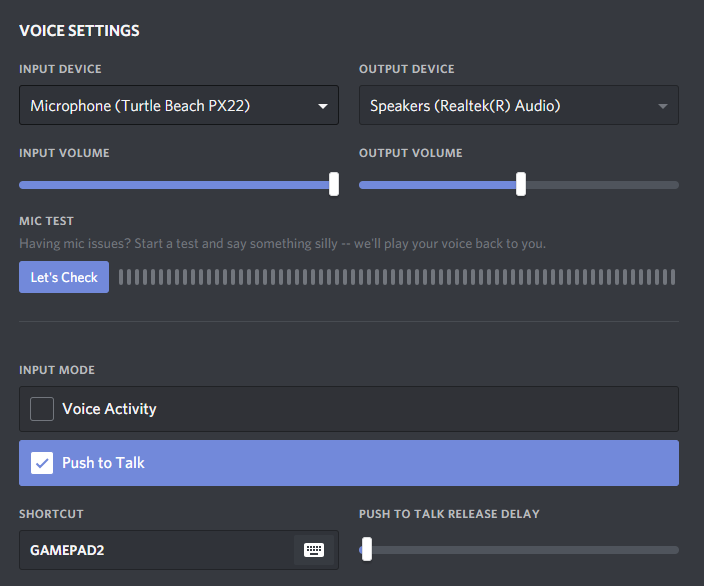 My headset isn’t associated to audio via the GPU, but it would go dead until I told discord to select a different device and then my headset again. Only for discord too. If your DCS stutters right before it goes out, see if updating or rolling back the graphics driver helps. You could also lower graphics settings a bit to smooth it out. I have been having some really bad stutters that has been cutting audio… I’ll try your suggestions thanks! Maybe a silly question, but… Do I really need to make an account to use that Discord thing? I am not a fan of making accounts. You can voyeuristically view the chat from the icon up top (when it’s working) and even type chat without a Discord account using the ‘Message #general’ box, but yes, you do need a Discord account to use it all properly (VOIP etc). It’s a social network like any other, and I can understand your reluctance. We are using their stuff, so that’s the price. Ok, thanks. So I’ll stick to TS for voice comms I guess.